Oh, for an easy life. Sometimes it'd be nice to just read a phone's spec sheet, compare prices and make a decision. In a number of ways, the Nokia Lumia 520 looks like just the type of handset where this ought to be possible: it has the same reliable internals and happy design language that have already proven their worth in the Lumia 620, but it makes a couple of sacrifices for the sake of its £115 pay-as-you-go price tag in the UK -- which undercuts the higher model by a good £30-£50 depending on where you shop. It's even cheaper in the US, where a $150 Lumia 521 variant (not the one reviewed here) is scheduled for general availability on T-Mobile starting tomorrow. These sacrifices seem straightforward enough, and they include things that many smartphone users may barely notice, such as the absence of a front-facing camera, camera flash module and NFC. The problem is that the specs are never the full story. Like any phone, the Lumia 520 comes with a few surprises. Read on and we'll try to root them out. This phone just can't hold its own against the Lumia 620, and we don't think the modest savings are worth it. 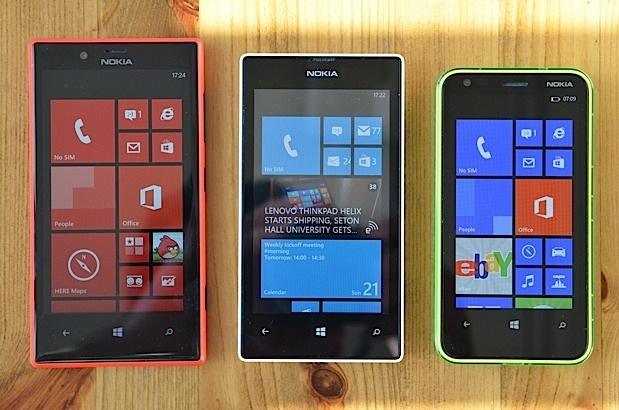 How would you rate the Lumia 520? 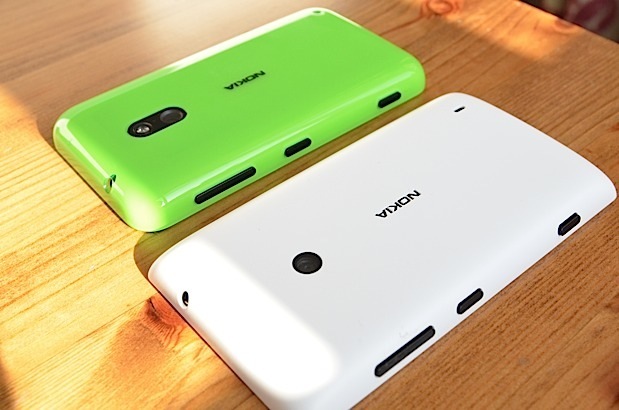 The 520 continues Nokia's bright, bold approach to phones, and that's a good thing. It's available in cyan, red, black, yellow and white, so there's some choice in how loud you want to make it. Then again, regardless of which color option you pick, this handset isn't quite as bright or bold as the Lumia 620 -- that stunningly good handset that will inevitably set the benchmark throughout this review. The matte, plastic back cover lacks the glossy, rubberized personality of the higher model and also feels a tad creakier. Unlike the 620's cover, it doesn't incorporate any headphone jack circuitry -- it's just a thin piece of plastic. There are no problems with seams or with the way the cover fits on, maintaining Nokia's usual quality. The speaker, earpiece, aerial and all cellular components seem to work fine. Some people may even prefer the 520's more sedate appearance, along with its slightly larger LCD display, which results in the phone being a few millimeters longer and wider than the 620, as well as having other ramifications that we'll come to in a bit. 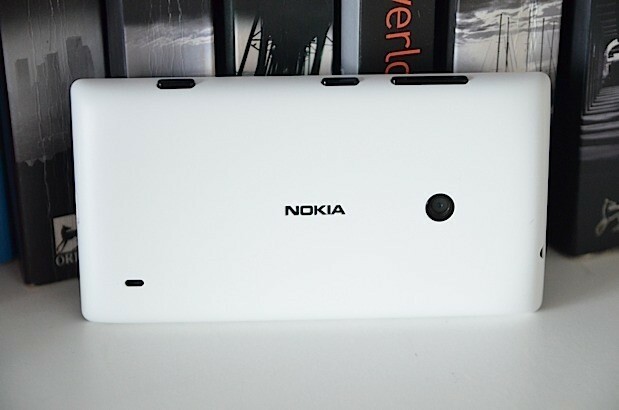 Overall, Nokia's manufacturing is good, but it isn't perfect. For the first few days of use, the 520's camera button kept jamming, requiring the back cover to be removed in order to unstick it. This problem seems to have died down, but it may also be that we're being gentler with the shutter release -- which really we shouldn't have to be. Other than that, the simple exterior is punctuated by a 3.5mm headphone port on the top left, micro-USB charge and sync port on the bottom, volume rocker and power/standby button on the right, speaker and camera lens on the back. Lastly, we have the earpiece and capacitive Windows Phone navigation buttons on the front face -- none of which gave us any problems. The Lumia 620 taught us that a high-quality display needn't cost the earth. Alas, the Lumia 520 teaches us that a top-shelf display must cost something, because Nokia hasn't been able to carry it over into this bottom-end handset. This LCD is washed-out, unevenly lit (especially in the lower corners) and suffers from relatively poor (though not horrific) viewing angles. It isn't a patch on any of the higher models, and that's something the Lumia's spec sheet on its own doesn't warn us about, aside from the absence of the word "ClearBlack," signifying that the manufacturer acknowledges this is a lesser panel. The 520 is also technically worse off in terms of pixel density, due to the fact it has a 4-inch, rather than 3.8-inch, display while keeping the standard 800 x 480 resolution. In reality though, that sort of difference is imperceptible at screens of this size. Regardless of the display's technical aspects, we reckon that the inherently bold and contrasty aesthetic of the Windows Phone environment makes it less of an issue. In the midst of daily use, you're just not going to notice that bright patch in the lower-left corner, or those blacks that aren't really black -- at least until someone with a 620 comes and sits down next to you. Judging by the quality of its pictures, the Lumia 520's camera module is basically the same as the 620's. That means it takes passable stills for sharing and looking at on small displays. However, there are a few things holding the 520's photography skills back. There's no focus assist light, for a start, which results in unpredictable focus in low-light shots. Combined with the slow shutter speed (due to the absence of a flash) and the slight shake resulting from the sometimes-sticky camera button, this occasionally results in overly blurred images, as the sample below will attest. Overall, daytime shots were okay, but this writer's stills just aren't as crisp as those Mat Smith took with the 620 in low-light situations -- and there has to be a reason for that other than just my general clumsiness. 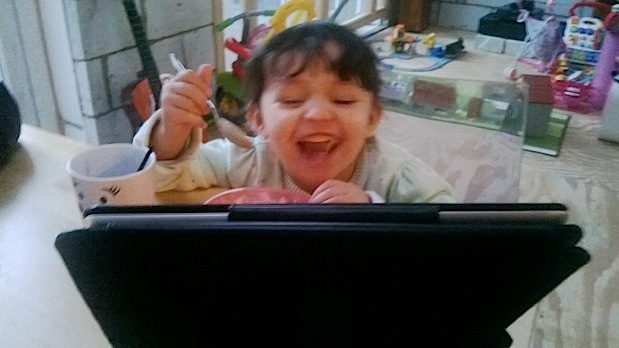 On the other hand, it's not like camera isn't fun. Nokia is putting real effort into its software, and even though there aren't as many settings as we'd like, there are plenty of quirky "lenses" to play around with. These include Cinemagraph (check out the video review for an example), Panorama and a Best Shot mode -- all of which work, but each suffer from general sluggishness, both in terms of loading up a lens and saving its results. This pretty much kills spontaneity and means you have to be really deliberate in how you use them. Lastly in this section, the Lumia 520 deserves a nod for its basically efficient 720p video output. Just as with the 620, there's no image stabilization to speak of and the 10 Mbps (1.3 MB/s) data rate (a whole 1 MB/s less than some high-end phone cameras) makes color and dynamic range compression a tad severe, as well as introducing some choppiness when there's a lot going on in the scene. Still, the focusing, auto-exposure and microphone work all work fine, resulting in usable footage that will probably capture what you want it to, so long as you don't over-do it with movement or high levels of detail. 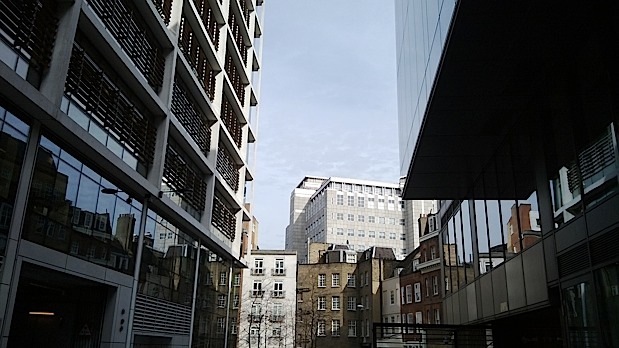 The Lumia 520 handles Windows Phone 8 just fine, with its top-notch cellular components offering decent HSPA+ speeds (nominally up to 21 Mbps down), on a par with other smartphones we've tested on Vodafone's network in London. In some places it got an extra signal bar over fancier phones, so reception is definitely on the strong side. In terms of computing performance, the Lumia 520 behaves identically to the 620 and 720 in every single respect except for one -- it's seriously lacking in stamina, particularly for a low-performance handset. Somehow, despite the fact that the 520's removable battery has a higher capacity than the 620's (1,430 vs. 1,350mAh), the 520 is left worse off. This is probably due to less-efficient components -- with the most likely culprit probably being the cheap display. In any case, the 520 only lasted two-thirds as long as the 620 in the WPBench rundown test, and it struggled to survive 12 hours of moderate to heavy use. Keeping brightness set to high makes things worse, even though the reflective screen will often make you want to do that. If we used the phone primarily for calls during the morning, then did something more taxing in the afternoon -- such as 30 minutes of playing around with Cinemagraph -- the phone would die by 10 PM. Although some high-spec Windows Phones have similar run-down ratings, they weren't quite this bad in terms of real-world battery life -- and it's also easier to be forgiving when you're getting premium features out of faster CPUs. It's in comparison to the other budget offerings that the Lumia 520 really suffers. At this point, we really must distinguish between the two types of buyers who might be interested in this phone. If we were coming to the 520 as a smartphone beginner, or as someone who had a brief run with a budget Android, but couldn't get along with it, then this Nokia phone would be everything we need. It provides access to the Windows Store, which, these days, has enough first-party apps (or good third-party ones) to cover most mainstream needs and eventualities. There's OneNote, Evernote, Twitter, Facebook, Flickr, Spotify, Kindle, WhatsApp, Skype -- which is usable for video chat if the two parties take turns to gawp at each other -- and so on ad infinitum. Well, not quite infinitum, but we'll get to that in a moment. 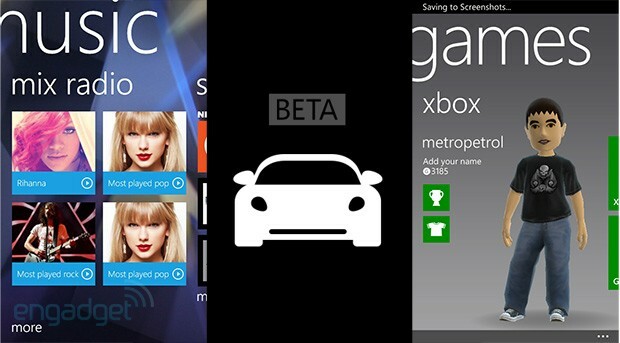 We also get access to Nokia's suite of services and Lumia exclusives. These apps mostly have counterparts in other ecosystems, but as a cohesive bunch they have real value. This is particularly the case with Nokia's so-called Here apps for location services and navigation. CityScape is still a bit of novelty, but Maps and Drive are real heavyweights. In fact, Drive is almost good enough to be replacement to the TomTom app on other platforms, which costs £40 ($50) -- unless you rely on traffic updates and re-routing or speed camera alerts, which Drive doesn't yet offer in the UK (even though Here Maps does show traffic congestion). It says a lot about the strength of Nokia's Lumia smartphones that they are often their own worst enemy. Now, let's look at the Lumia 520's software from a different perspective -- that of an experienced smartphone user coming from an alternative ecosystem, like Android. From this point of view, we have to give the same old boring warning we always do with Windows Phone handsets: don't expect to participate in everything, or have all the apps you're used to. This UK-based author uses Google+ for social stuff, Amazon Cloud Player for music, Kobo and Google Books for reading, Zinio for magazines, Springpad for notes and iPlayer for TV. None of those apps are yet available on Windows Phone in the UK -- even though some are coming -- and this constitutes a major barrier to me using Windows Phone as my primary device in 2013. The overall landscape is improving but don't expect things to move as fast as you'd like. Bear in mind that the Lumia has only 512MB of RAM, too, so a few apps and games available in the Windows Store may be specifically denied to you. Not a big deal, but it's that sense of exclusion again -- something that probably wouldn't be an issue with a similarly priced, similarly specced Android device like the Huawei G510. Then again, Huawei's Android skin just doesn't have any of the welcoming feel or flair of Microsoft and Nokia's combined efforts, so that's the choice you make. It says a lot about the strength of Nokia's Lumia smartphones that they are often their own worst enemy. The Lumia 520 offers a full-fledged, fluid and friendly smartphone experience, but it sits in the shadow of the 620, just like the 920 makes life harder for the 720 and 820. It's sibling rivalry of the worst kind, because for once, it actually results in us loving one more than the other -- and, in this case, we're still so attached to the 620's design and extra features that we just can't recommend the 520 to a mainstream budget audience. What's more, considering that the 620 has already been offered on deals in the UK for as low at £130 ($200), we'd suggest snapping up a similar bargain as soon as one comes around, rather than plumping for the moderate savings offered by the 520. If the Lumia 620 were ruled out for some reason -- perhaps due to a strict budget or local availability -- we'd probably look more kindly on the 520. After all, it still contains all the essentials of the modern Lumia offering, with lots of personality and a welcoming OS. But even in this scenario, we'd come up against the battery life issue -- which is a spec that rival budget Windows Phones do much better on, not to mention Ashas and probably other future barebones options that will cost half of the 520's price. 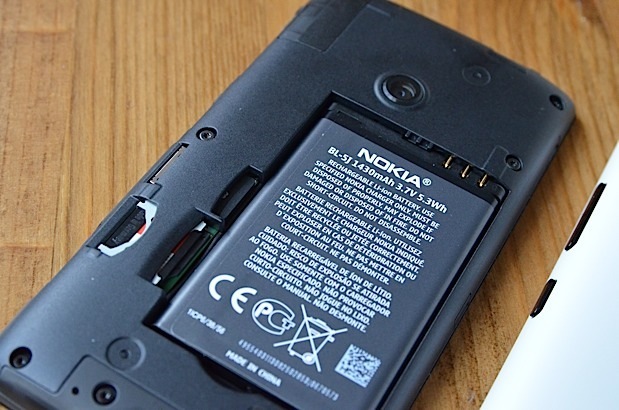 Advanced smartphone users may be used to seeing red battery symbols late in the day, but for this type of phone, which is bound to be picked up by people who are making the leap from a feature phone, it's not quite good enough.